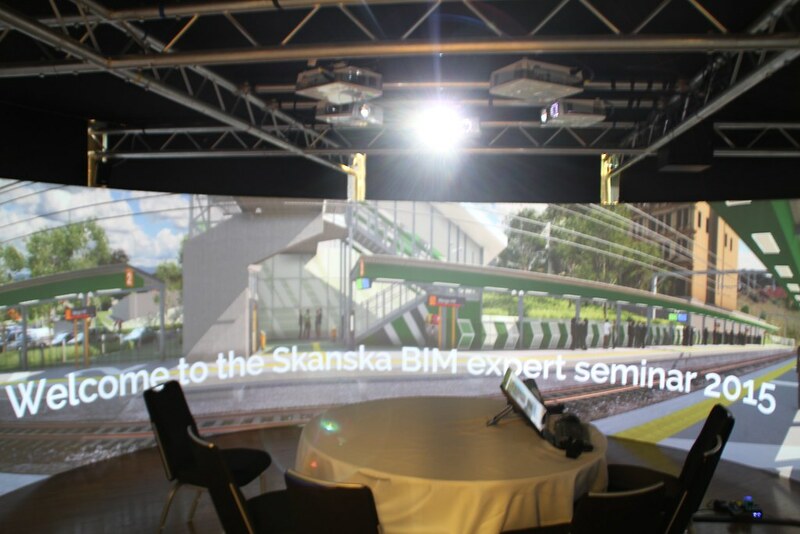 The Skanska BIM Knowledge Partnership Team was eager to demonstrate the potential of its work to senior colleagues. A 6 metre cylinder was taken to Stockholm for a Global Management Meeting. The BIM Knowledge Partnership Team wanted to show 400 senior managers how Igloo technology could be used for stakeholder engagement, project management with 4D timeline sequencing, clash detection, asset management and training.